One of the joys of living in our generation as women is that you can do anything you put your heart and mind too. No matter where you live, no matter what your circumstances, there are opportunities for you to have a career in every industry. 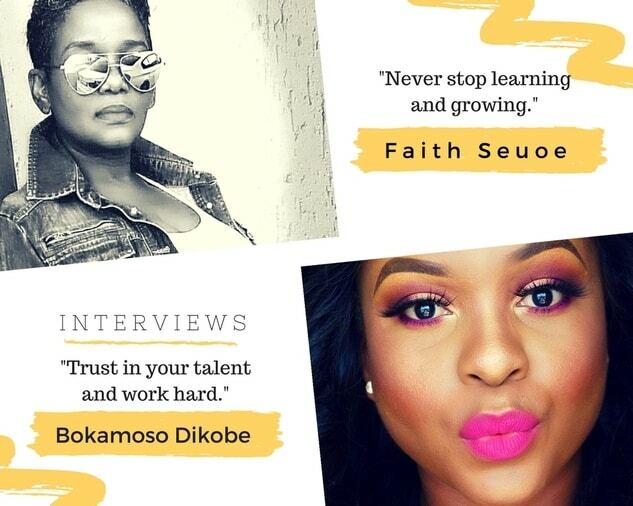 If you have a dream of becoming a makeup artist, here is an interview Faith Seuoe and Bokamoso Dikobe. These two women will hopefully get your juices going so you can see the limitless possibilities that are in the industry. Even if you’re just doing it on the weekends while you keep your day job, you can learn something from their experience. 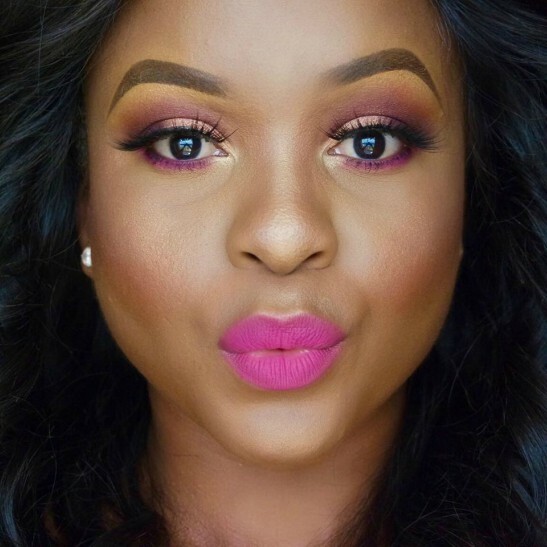 Here is an interview with two Makeup Artists, Faith and Bokamoso, who are both passionate about helping women look their best and feel confident for special occasions and every day, while making money at the same. They are as comfortable transforming models for glossy mag shoots as they are making-up famous faces and ordinary women like you and me. I wanted to find out how they've managed to get to where they are today. I hope you will feel inspired by their journey. My name is Faith Seuoe. I'm a Johannesburg based make-up artist, I started working for Bop TV as a make up artist and hair stylist. The biggest challenge is chasing payments and inconsistent monthly income. What are your typical rates per client; how many hours per week do you work, how much monthly income are you bringing in? Rates differ from job to job depending on how much time, work and how many people I'm expected to do. It could be between R1 600 - R10 000 per day depending on the job. Monthly income varies from each month depending on the bookings. How else do you make your money? This is how I have earned a living freelancing as a make up artist and hair stylist for 21 years. How do you get clients for your business? I mostly get clients through word of mouth and some through social media. It takes passion, knowledge and respect for your craft, respect for clients, being professional in the way you present yourself to be successful in the industry. Never stop learning and growing. What is the number one piece of advice you would give to women who are interested in getting started as a makeup artist? I would say make sure you are really passionate about being a make up artist, get proper training and learn as much as you can about the industry. Get in touch with Faith via Instagram and email. 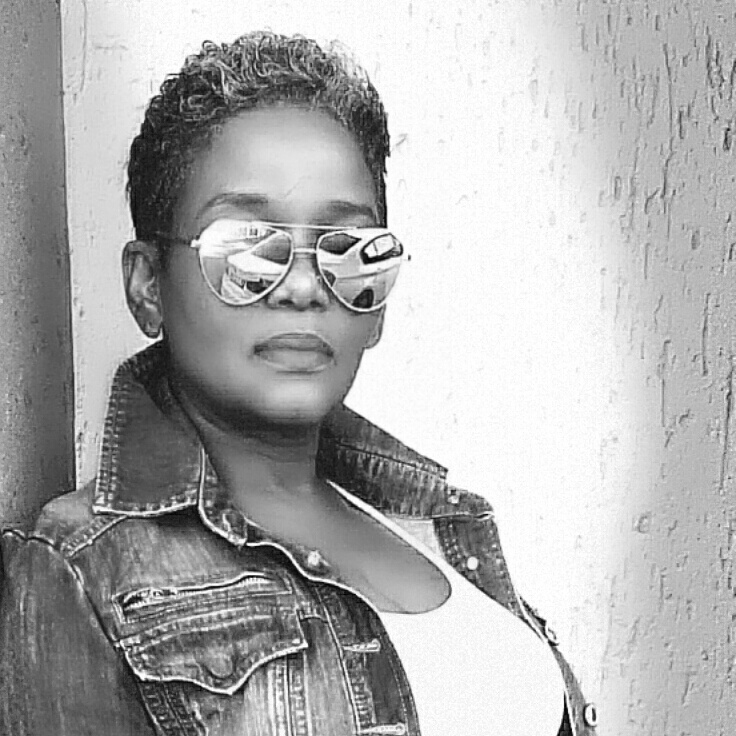 My name is Bokamoso Dikobe. I started in the makeup industry as a sales rep for IMAN cosmetics. After a year and a half I decided to take a leap of faith to go into freelancing. Freelancing felt like my true destiny because it started well for me and I was truly happy with my decision. I was lucky to work on productions as I didn't have a clientele at that point. The biggest challenge was when I was starting out trying to build a clientele. It is not easy for people to trust someone new with their faces. My rates differ depending on the distance I travel to get to the client. The hours per week are determined by the number of bookings I have. Sometimes I can work for two weeks without rest and sometimes I can just have clients one or two client per day and not everyday. My monthly income is determined by how much bookings I get each month. I don't have other means of making an income at the moment. I get most of my clients via social media or by word of mouth. Just be professional. Look presentable, always be on time and if you are running late, tell the client. Trust in your talent and work hard. You can get in touch with Bokamoso via Twitter, Instagram, Facebook and email. 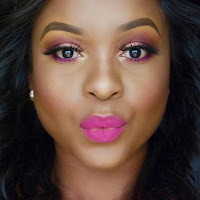 If you are passionate about MAU, take these professional makeup artist tips and work on yourself. To be successful in anything, you have to believe that you have something to offer that is different than anybody else. Go the extra mile and do what others aren’t willing or don’t want to do. Get feedback on your work and know that each day is an opportunity.